To take advantage of our freebie games you have to download our catalogues. And once each catalogue has gone, so has the freebie game! 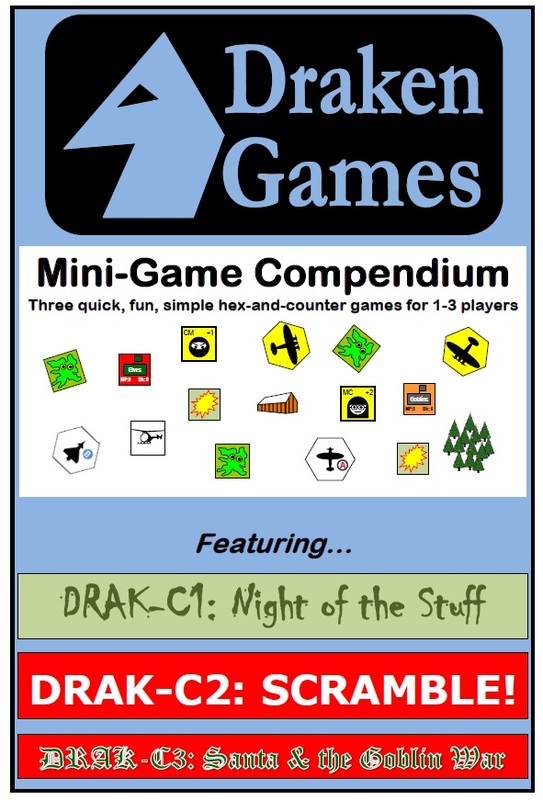 Well not quite: the Mini-Game Compendium is a collection of our first three free mini-games from Catalogues 4, 5 and 6. Not quite free any more, but still pretty cheap! Night of the Stuff is a cinematic horror solo game, SCRAMBLE! is a hex-and-counter air war game that can be played solo or by two or three players, and finally Santa & the Goblin War is a hex-and-counter wargame (well, snowball fight) for two players.